Have you ever noticed just how often you use the word “IT” in a sentence? (“It is snowing.” “It was amazing.” “It can’t be helped.”) Well, my new book The Way IT Is suggests that there might be a whole lot more to this simple little word than you may have thought. Maybe you’re constantly using the word “IT” to indirectly remind yourself of the much greater truth of Who-You-Really-Are. Maybe, in fact, this word “It” is actually referring to the very largest context possible...one in which the entire universe is now appearing. In short, maybe “IT” is...what IS !!! The Way IT Is is a very playful inquiry into the fundamental nature of Reality. Using the simple word “IT” as a substitute for the many esoteric “buzz words” that are often used to describe God-Spirit-Oneness, the Author invites the Readers to embark on a light-hearted journey of Self-discovery. 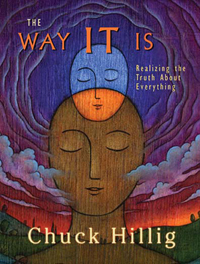 "The Way IT Is is a true spiritual masterpiece! You may not need to read another spiritual book." "That's IT! I've really enjoyed It, and I'll never think of It the same way again." "This is a very unique and effective contribution to non-dual literature. Highly recommended." "Once again, you show us your gift of putting major subjects into a simple and direct language. Nobody ever has put It so directly and clearly." "You are one of the rare authors who still gives commentaries and not only critical ones. Do it also when you will be famous …if it's your path to be famous." "Chuck Hillig says "IT" plainly, insightfully, lucidly and with enviable humor." "Don't be deceived! Chuck Hillig's books look friendly and harmless, but they are swords…and they are deceptively sharp! He writes serious books and they belong in the arsenal of every serious seeker." 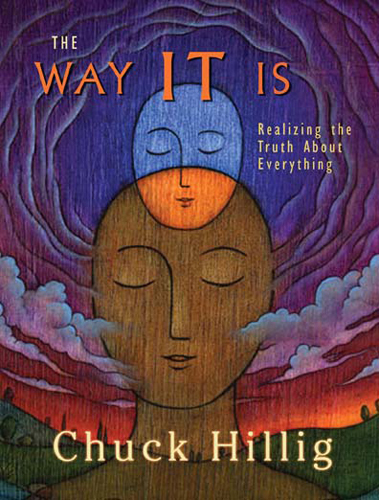 "Sometimes big wonders come in small packages…like Chuck Hillig's wonderful little book on enlightenment…The Way IT Is." "When I first came across Alan Watts' statement that 'This is it,' I was confounded. What could 'It' be? Had I read Hillig's little gem first, I would have saved myself a lot of frustration. Hillig is a master of IT. He shows us that IT is here and everywhere. In fact, you cannot exist without IT...even if you don't know what IT means! I highly recommend that you read all about IT." "It's a marvelous little book. Congratulations! You have done a ONE-derful job!" "This book is a gentle, friendly guide for understanding and enjoying "It," …your own true identity, and is a powerful tool of spiritual awakening. Strongly recommended. "Chuck has written a very clear, well-written low key update of Alan Watts. It's a very good read and It gets four thumbs up!" Content copyright . Black Dot Publications. All rights reserved.